DARA MURPHY HAS apologised to people who think he wasted Garda resources after it emerged two gardaí in Cork drove him over 200 kilometres to Dublin for an early-morning flight. 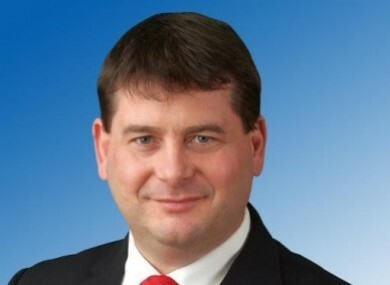 The Fine Gael junior minister sought help after his car broke down on the motorway outside Mitchelstown at around 3am on 13 September. Murphy, who was travelling with his wife Tanya, was on his way to to Dublin Airport to catch a 6.40am flight to Brussels for an EU meeting on the refugee and migrant crisis. However, The Mail on Sunday today reported that there was no meeting on that day. Speaking to RTÉ’s This Week, Murphy said the first thing he did was try to get a taxi to make the flight, before searching to see if a later flight was available. The European Affairs Minister said he was “very grateful” for the assistance provided by gardaí in “a difficult set of circumstances”. The day after he came back to Ireland, he said he called the chief superintendent to discuss what happened. He said he was told the journey was completed within Garda working hours. Murphy added that he offered to pay for fuel, but was told gardaí had no mechanism in place to take the money. When asked about a report in the Irish Mail on Sunday stating he had no meeting that day, Murphy said: “Before every council meeting there are pre-council meetings with the Irish ambassador and officials. I apologise if people feel the (Garda) resources were not properly used. Murphy also said the taxi driver who questioned his version of events was not telling the truth. He added that anyone who finds themselves “on a dark motorway at half three in the morning” will find comfort in knowing there are helpful gardaí who will to “come to people’s assistance”. Email “Dara Murphy: I'm sorry if people think I wasted Garda resources”. Feedback on “Dara Murphy: I'm sorry if people think I wasted Garda resources”.